Following Mount Merapi’s phreatic eruption, the Sleman Tourism Agency gathered tourist business owners in the Kaliurang area to provide an update on the situation, as reported by kompas.com. According to the Research and Technological Development for Geological Disaster Agency (BPPTKG), although a phreatic eruption had taken place in the morning, Mt. Merapi’s status was normal. Kaliurang is deemed safe to visit as there is no strong reason for the agency to close the area. 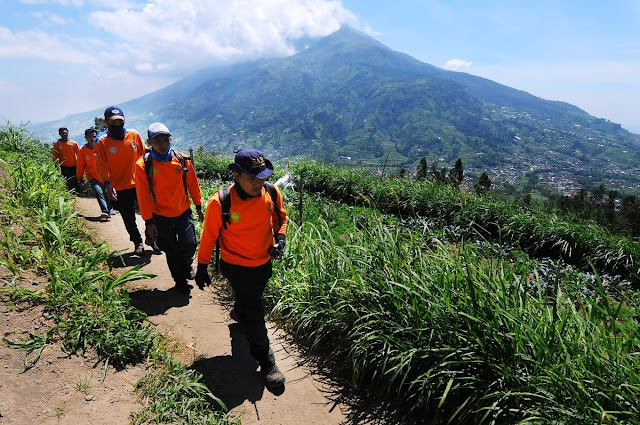 It is safe for tourists to visit and take in the scenic view of Mount Merapi in Kaliurang, as well as to enjoy the mouthwatering local cuisine,” tourism agency head Sudarnisih said. Meanwhile, those who are interested in booking the Jeep Volcano Tour still have to wait for further information. The tourism agency is coordinating with all stakeholders from the Merapi jeep community to ensure the safety and comfort of tourists. Eko Pujianto of the Jeep Merapi Belantara Adventure community said tours did not run on Friday following the phreatic eruption. Tours might resume tomorrow,” he said, noting that three groups had booked tours for Friday but they had to be canceled due to safety reasons.